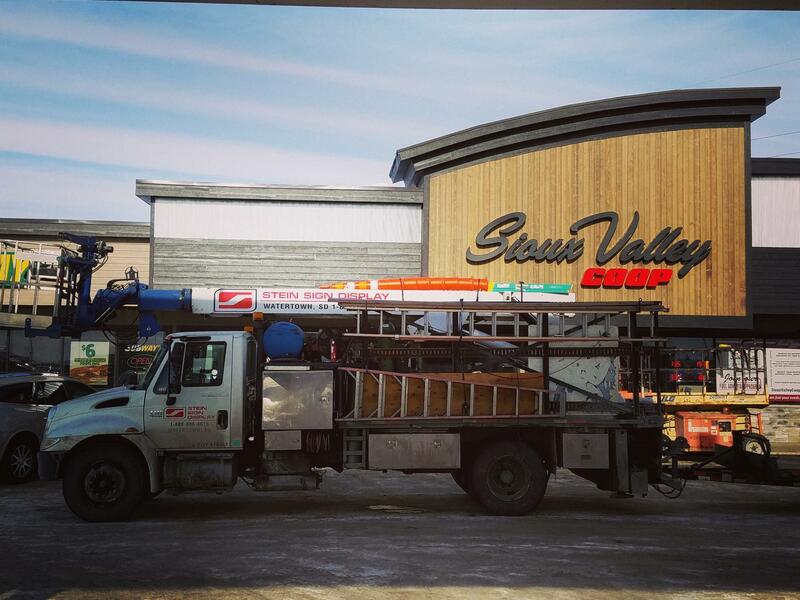 Stein Sign Display partnered with Crestone Builders to re-brand the Sioux Valley Coop store on Hwy 20 and Hwy 212 in Watertown. The signs used in this re-branding effort are called "Reverse-Lit" Channel Letters. They illuminate from the backside of the letter, creating a halo effect. It's a style of channel letter that really stands out and creates a WOW effect. 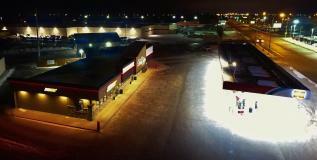 The other product to highlight is the use of the LED Light Stick around the perimeter of the building. 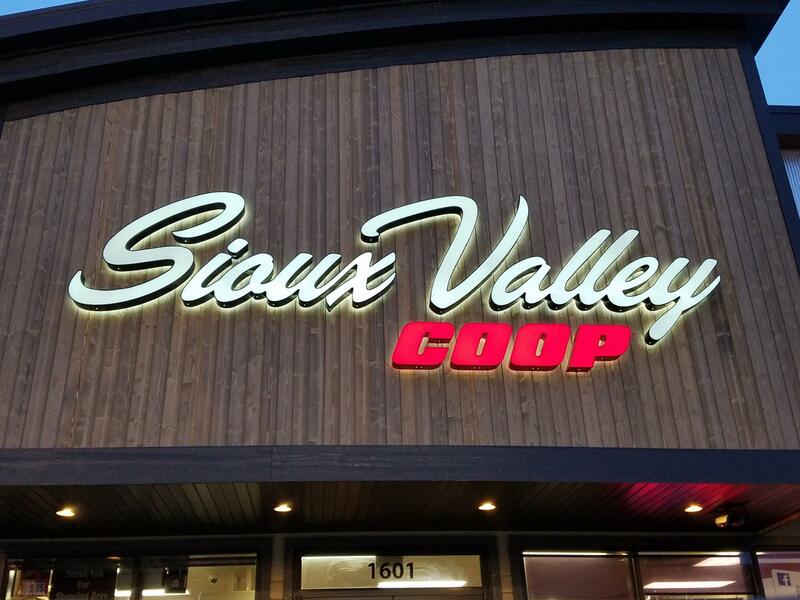 Historically, neon would be used for this type of effect, but Sioux Valley Coop opted for the newest technology available. We are grateful to have partnered with Sioux Valley Coop and Crestone on many projects. This particular project just makes you say, WOW! Over the years Stein Sign Display has successfully installed numerous signs for Image National, Inc.